Gallery One at the Cleveland Museum of Art is a unique, interactive gallery that blends art, technology and interpretation to inspire visitors to explore the museum�s renowned collections. 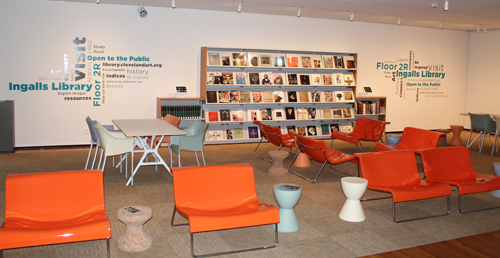 This revolutionary space features the largest multi-touch screen in the United States, which displays images of over 3,500 objects from the museum�s world-renowned permanent collection. This 40-foot Collection Wall allows visitors to shape their own tours of the museum and to discover the full breadth of the collections on view throughout the museum�s galleries. 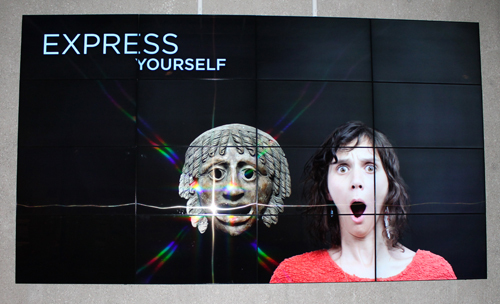 Throughout the space, original works of art and digital interactives engage visitors in new ways, putting curiosity, imagination and creativity at the heart of their museum experience. 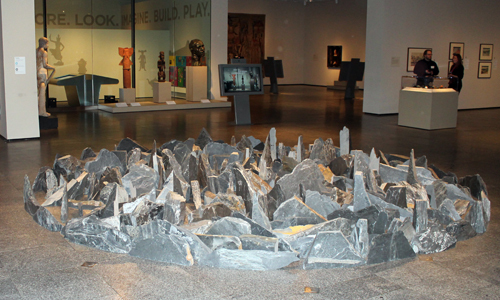 Innovative userinterface design and cutting-edge hardware developed exclusively for Gallery One break new ground in art museum interpretation, design and technology. Sure there is a nice selection of different media and art in the Gallery. There are also traditional reference areas and comfortable spaces as you would expect. But it's the interactive and personalized elements that make the space so exciting. 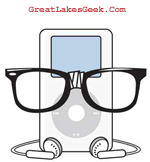 The Great Lakes Geek's overall impression? This is another one of those world-class jewels that Cleveland has that hopefully will garner the recognition, and attendance, that it deserves. Friends from other cities have already marvelled after watching the videos. Hopefully Clevelanders will appreciate what we have in our own backyard.